(CNN) - A woman was killed Monday morning in an apparent alligator attack on Hilton Head Island, South Carolina, the Beaufort County Sheriff's Office said. Witnesses told investigators the woman was walking her dog near a lagoon in the coastal resort about 9:30 a.m. when she was attacked and pulled underwater by the animal, the sheriff's office said. The attack happened off Wood Duck Road in Sea Pines Plantation, the sheriff's office said. Edward Allen, Beaufort County coroner, told CNN affiliate WSAV-TV, "Apparently the the dog got too close to the lagoon and the alligator attempted to attack the dog." As the woman made "an effort to save her dog, the alligator turned on her," Allen said, adding that the gator grabbed hold of the dog's leash and dragged the woman about 14 feet into the lagoon. The dog was not harmed. Emergency responders found the woman's body in the lagoon. Authorities identified her as Cassandra Cline, 45, of Hilton Head Island, the sheriff's office said. An autopsy is being conducted at the Medical University of South Carolina. "It's a very rare occurrence and one we hope we will not witness again," said Allen. 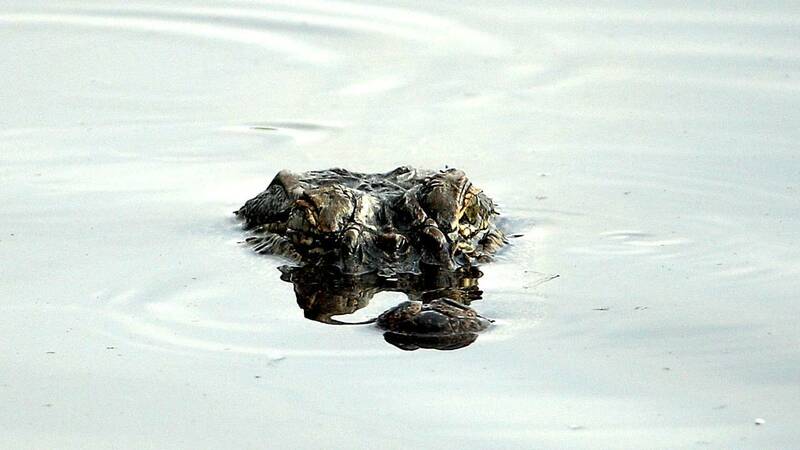 Sam Chappelear, assistant chief of wildlife for the natural resources department, told WSAV this was the second fatal alligator attack in the state since 2016.